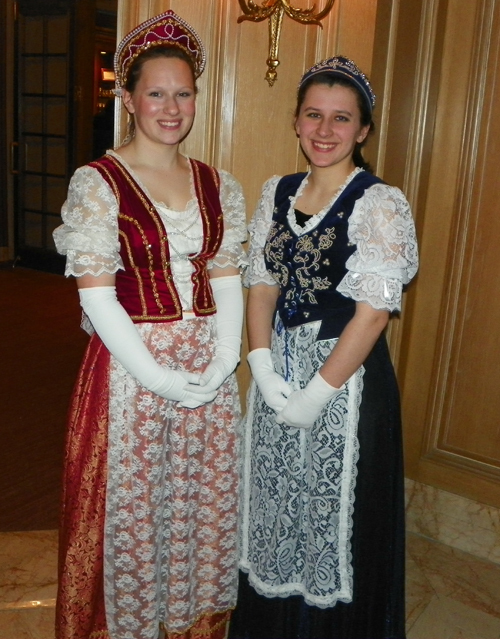 February was spent traveling around Poland for our Country of the Month. Our Polish provider Franciszek shared with us traditional Polish food, let us experience the cold winter weather in his country, and much more! Franciszek’s adventure started with SCOLA a few years ago when he was asked about programming in his language. With SCOLA he found that the programs broadcast in his country were of interest to viewers around the world. Over the years, cooperation between Poland and SCOLA have grown with Franciszek sending in more and more material. He appreciates the work he does with SCOLA and all the employees. 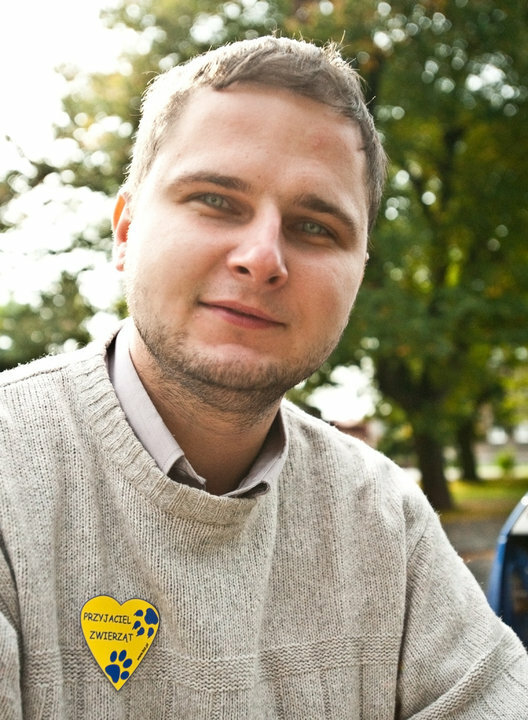 He enjoys his partnership with SCOLA that allows him to share Polish programming with people around the world. Follow along with our next Country of the Month: Germany! The days are flying by as I travel around the world with SCOLA and it’s already time for my next international adventure! I log on to People and Places to try to get a feel about what country I would like to see in person next. I scroll through photos and Mersin Beach, the Cave of Heaven, and snapshots of protestors in Turkey catch my eye. I first log on to Language Training Materials and take a look at Country Overview Videos from Turkey. Here I learn about where Turkey is located, the languages spoken in Turkey, its economy, and so much more! I’d love to be able to chat with the locals about the photos of people protesting, so I log on to Insta-Class for some convenient, ready to use language lessons in Turkish. The service has over 450 Turkish lessons in beginner, intermediate, superior, and advanced. I fly through those and I am on my way! To begin my adventure in Turkey I log on to SCOLA On the Street Videos. I am most curious about the photos of the protestors I stumbled across in People and Places, so my first stop is to visit Taksim Square in Istanbul. Taksim Square was recently the site of many protests, with many people showing up to support the park instead of turning it into a mall. I also learn about a series of protests that occurred last year, in which workers, teachers, doctors, dentists, and engineers all joined in on the strike. They marched around Mersin chanting and holding signs, urging the government to listen. For my next stop in Turkey, I wanted to learn more about a lighter subject, so I talk to some of the locals about their favorite hobbies. One young girl shows me games she plays on her computer, then I watch a young photographer take shots of young children in a variety of settings. I was able to see a few different sides of Turkey today, and because of that I consider this trip a success! Join me in my travels today by visiting www.scola.org and accessing your free trial! The changing weather in Autumn often makes me wonder about the weather people in other parts of the world are experiencing at this time of year, and what better way to satisfy my curiosity than to travel to another country and find out myself? I head on over to People and Places to decide on my next destination and Vietnam, with its green landscapes, giant palm trees, and expansive fields catches my eye. By the looks of these photo it seems as though summer lasts all year! Surely though they wouldn’t be so lucky….I guess there is only one way to find out! Before I begin my adventure I log on to Insta-Class to practice my Vietnamese. Did you know they have 570 ready-to-use lessons in Vietnamese alone? The lessons vary by skill level- beginner, intermediate, advanced, and superior. There is something for everyone! Once I am feeling confident in Vietnamese I log on to Foreign Text on SCOLA’s Mobile App for some light reading material. Foreign Text offers over 160 newspapers and magazines from Vietnam, including Joke Village, Chuyen Doi, and much more. My next step isn’t to make my luggage or wait for hours at airport security- I simply have to log on to On the Street Videos to begin my international adventure! Like I mentioned earlier, on this adventure I want to learn about the different seasons in Vietnam, so my first stop once I arrive is to chat with some of the locals about summer and the different activities people in Vietnam enjoy during the summer season. We then chat about the new school year, Autumn, and the Autumn Festival. I learn how their seasons differ compare to my own. Remember earlier how I mentioned the green fields and giant palm trees I found in People and Places? I must learn about those on my trip to Vietnam, so my next stop is to chat with some locals about native animals, specifically flowers and local fruits, found in Vietnam. It’s time to return to the cool fall weather, until my next adventure…Check back next week to find out where On the Street Videos takes me next!